Nike SB Vulc Rod "Khaki"
The Nike SB "V-Rod" has been around for a while now, but this denim-Swooshed, khaki suede pair is too good to pass up. 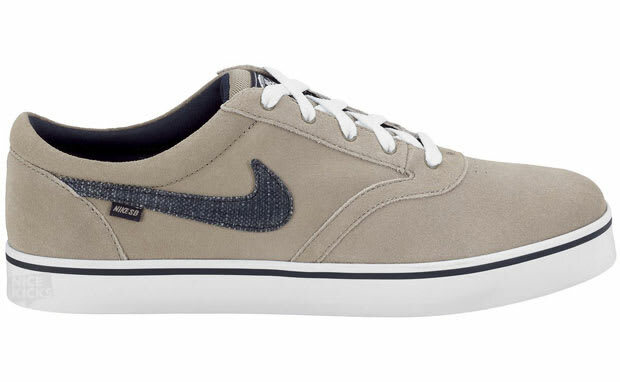 The slimmed-down, lightened-up, Vulcanized Paul Rodriguez signature joints work on or off the board, and are available now from Nikestore.com for $65. Get on that.